In 2010 I begun to develop a generative software. 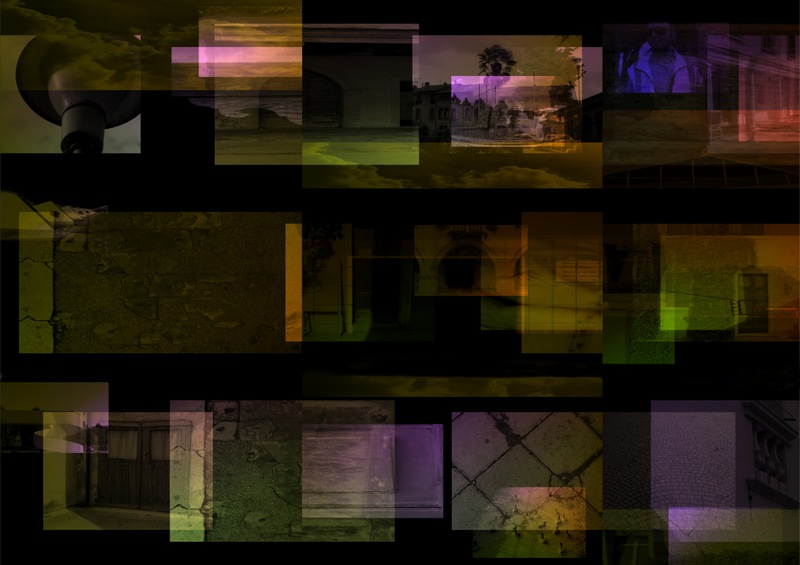 Implemented in Pure Data (an open-source real-time graphical programming environment for audio, video and graphical processing), this software – starting from a determined set of digital photos and audio tracks, and processing them throw a randomized algorithm – spawns an undetermined and constantly changing set of imaginary landscape and soundscape. By means of Arduino (an open-source electronic prototyping platform) I have made it interactive and, ﬁnally, it has become: 1) a multimedia installation; 2) an open and costantly evolving archive of sounds and images; 3) a hybrid, complex and useful toolkit for the exploration and regeneration of the everyday life. I have titled it [n]Plateaux (to pay homage to the G.
Deleuze and F. Guattari’s book Mille Plateaux). The installation, thanks to its extremely adaptive and modular structure, has assumed various forms, but its general operation could be brieﬂy described as follows: visitors are invited to take all or some of the seats available located in the installation space; each seat is equipped with a force sensor and a hidden loudspeaker, and corresponds to a differently coloured digital light source and to a different junction in a net of sound paths. By seating, every visitor trigger: the corresponding digital light source, that will affect the chromatic features of the virtual landscapes projected onto the wall; the volume of the corresponding hidden loudspeaker, that will affect the detectable space movement of the virtual soundscapes. Moreover, seats location will determine the distribution of sound into the installation space. Here below you can watch to a video shooted by Fabio Romanato during the first [n]Plateaux exhibition.